Preparation, stage two: Two weeks after the start of the Nordschleife season, ROWE RACING is back at the Nürburgring this Saturday (8th April) for round two of the VLN Endurance Championship. The 42nd DMV 4-Hour Race marks the next step towards the highlight of the season – the 45th ADAC Zurich 24h Race at the same circuit on 27th/28th May – for the team from St. Ingbert. 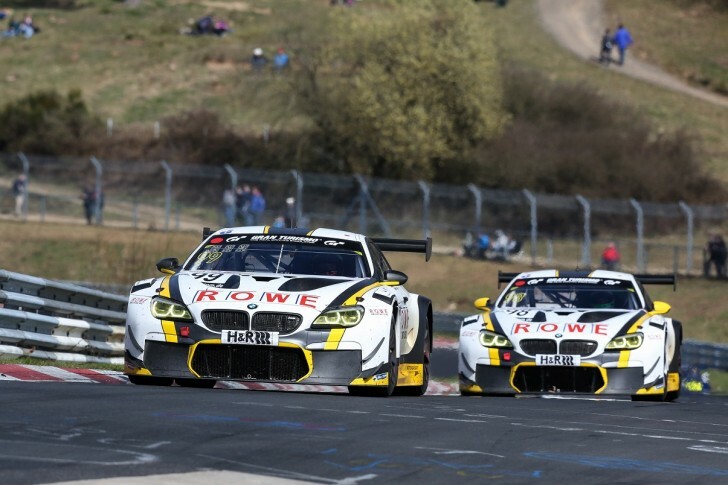 Saturday’s VLN race is the second of three opportunities to ensure that the two ROWE RACING BMW M6 GT3s are set up perfectly for the infamous “Eifel Marathon”. The 24h qualifying race on 23rd April forms the dress rehearsal. Unlike at the opening round of the VLN, the team will field just two drivers per car this time. They will share the race and set-up work over the classic four-hour duration of the race. BMW DTM driver Maxime Martin will be back in action in the #99 BMW M6 GT3. The Belgian will again be joined by VLN and Nordschleife specialist Marc Basseng, who joined the team this year. Driving duties in the #98 car will be shared by two drivers from the strong ROWE RACING squad, who were both in action in different cars at the opening round of the Blancpain GT Series in Misano (Italy) last weekend, where they finished sixth and seventh to pick up valuable points. BMW works drivers Philipp Eng (Austria) and Finland’s Markus Palttala will join forces on Saturday, when they will do battle for another good result and also work on fine-tuning the BMW M6 GT3. The 42nd DMV 4-Hour Race at the Nürburgring gets underway at the traditional VLN start time of 12:00 on Saturday (8th April).